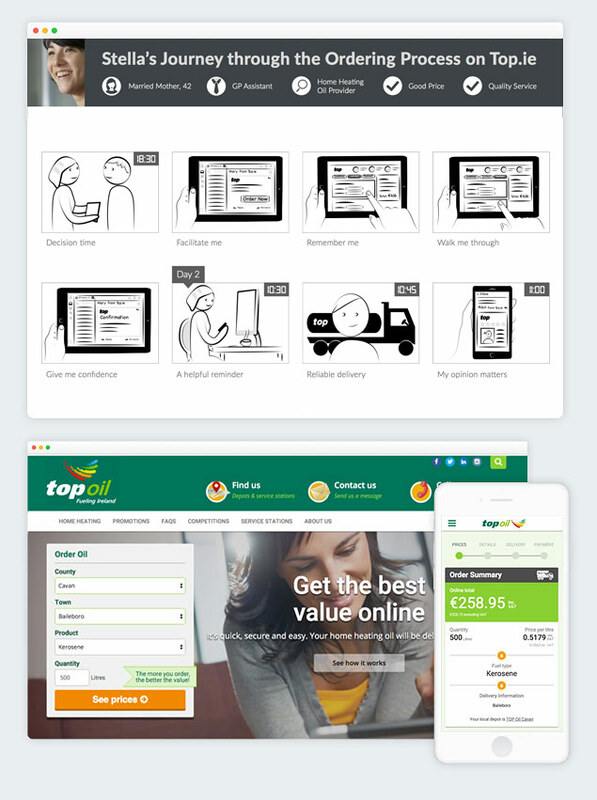 Top Oil – the favourite supplier of home heating oil, commercial, motor and agricultural fuel across Ireland -­ approached us to assist them with the development of their website and online ordering system for home heating oil. Their existing website and ordering facility was not delivering the conversion rates they needed, with phone ordering dominating the sales channel. We pursued a highly collaborative process with Top Oil to discover how the business was currently handling orders and how customers make their decisions to order Quality Assured fuel from Top Oil. 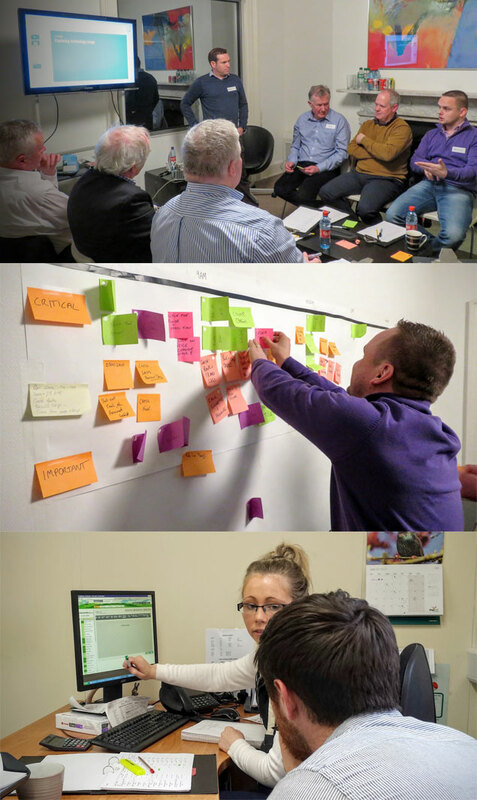 Workshops with stakeholders and consumers took place, during which user journeys and wireframes were devised and discussed. Xwerx team members went on a ‘ride along’ to see Top Oil home heating oil deliveries first hand. All of these activities contributed to a rich understanding of the context of home heating oil ordering, allowing us to produce wireframes detailing the User Experience and screen flows we proposed for the site. 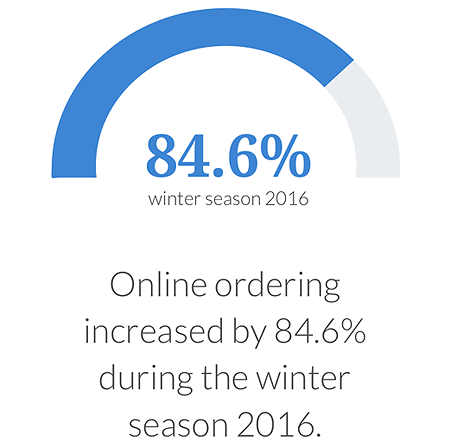 The site is proving to be very successful for Top Oil, who saw their online ordering increase by 84.6% during the winter season 2016, compared to 2015. This increased flow of orders through the website has saved administrative effort required for phone ordering since the new website went live. Through close observation of site metrics, we continue to identify pain points and refine the user experience. Recent developments have seen the addition of live chat client support. This has further boosted sales for Top Oil as they have been able to address customer queries in real time, rather than have those users consult competitors to meet their needs. Top Oil and Xwerx are currently discussing further development plans for the company’s online facilities.